The Vine February 2016 - Ag & Food Conference - SUNDAY! !, Hydroponics Twilight Workshop, SEMAP Swag, + MORE! Ag & Food Conference - Still time to register. Click here! 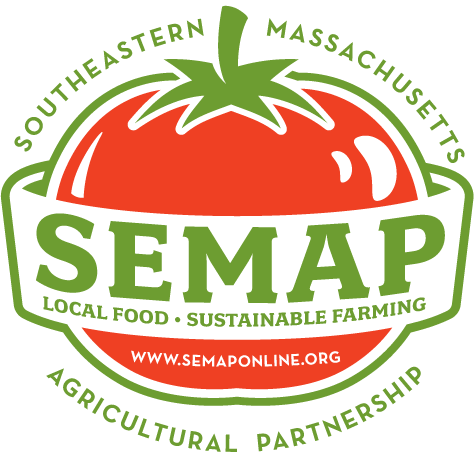 Show your support of SEMAP and the Buy Local movement with this great swag! We'll be selling t-shirts, heavyweight hoodies, hats, and canvas totes at our Ag & Food Conference. Please bring cash or a check; we will not be accepting credit cards. Farmers: Keep your farmfresh.org listing up-to-date! The online farm guide, farmfresh.org, is a go-to for anyone looking for local foods, beverages, and farm fun. Don't let the cold keep you from eating local! SE MA Food Security Network hiring for City Fruit Project. More information. Holly Hill Farm Seeking Intern Details. Farmland Opportunity in Eastern MA. Secure, long-term lease for experienced, community-oriented farmer.